I’ve always believed in magic. My dog gives me a look, and through no control of my own, I find myself handing over a cookie. A rainstorm clears, and suddenly, there’s a giant double rainbow. I pick up a book, and through words on paper, I’m instantly transported to another time and place, immersed in a world of people who only exist on the page. That’s magic. 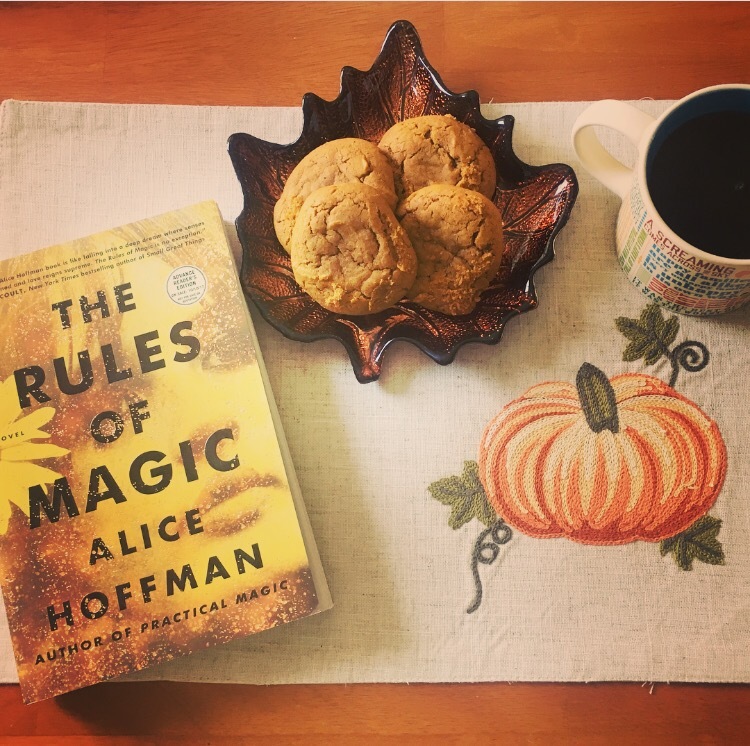 And Alice Hoffman’s spellbinding new novel, The Rules of Magic, is as magical as they come. A prequel to the iconic Practical Magic, The Rules of Magic takes us back to the 1960s, wrapping us up in the lives of the mystical Owens family. Ever since their ancestor Maria was accused of witchcraft after giving her heart to the wrong man, the family has lived with a curse over their heads: Fall in love and tragedy will strike. That explains why siblings Franny, Jet, and Vincent have been raised with a strict set of rules designed by their mother to protect them—no Ouija boards, no cats or crows, and definitely no books about magic. When Franny turns seventeen, family tradition finds the siblings leaving their home in New York to spend the summer with their Aunt Isabelle in Massachusetts. Spending time in a small town steeped with so much family history, the Owenses uncover family secrets, the power of curses, and the truth about who they really are. As the novel unfolds, we follow Franny, Jet, and Vincent through years of self-discovery, heartache, and yes, even love, constantly posing the question of which has more power: fate and curses or the people who live their lives despite of them? From start to finish, The Rules of Magic is as perfect as they come. Alice Hoffman’s writing is emotional, poetic, and downright stunning, and as I read along, I marked many passages that were so beautiful I knew I’d want to return to them again and again. I believed in the magic of Franny, Jet, and Vincent because I was under their spell from the very first chapter. My heart bled for them, and swelled for them, and raced until the wee hours of the morning when I couldn’t put the book down for the life of me. (I’m telling you. Magic!) I never found myself wondering what was going to happen and I wasn’t plagued with trying to figure out how it would all end because I was far too enchanted by the ride. If falling in love with an Owens leaves you cursed, I’m done for, because these characters had me from the get-go, and they’ll stay in my book-loving heart forever. Fans of Practical Magic will love diving even deeper into the Owens family tree and discovering the rich backstory of the aunts. If you’ve never read Practical Magic, you’ll still devour every drop of this novel. (Isn’t that the beauty of a prequel?) The Rules of Magic is a perfect fall book, a perfect book to curl up with for hours on end, a perfect book period. It cast a spell on me, and I’m ready to pick it up and read it all over again. For more on The Rules of Magic and Alice Hoffman’s incandescent novels, visit alicehoffman.com and follow her on Facebook, Twitter, and Instagram. Oh, I’ve been looking for some reviews of this. It sounds really good! It’s GREAT! I loved every drop of it!